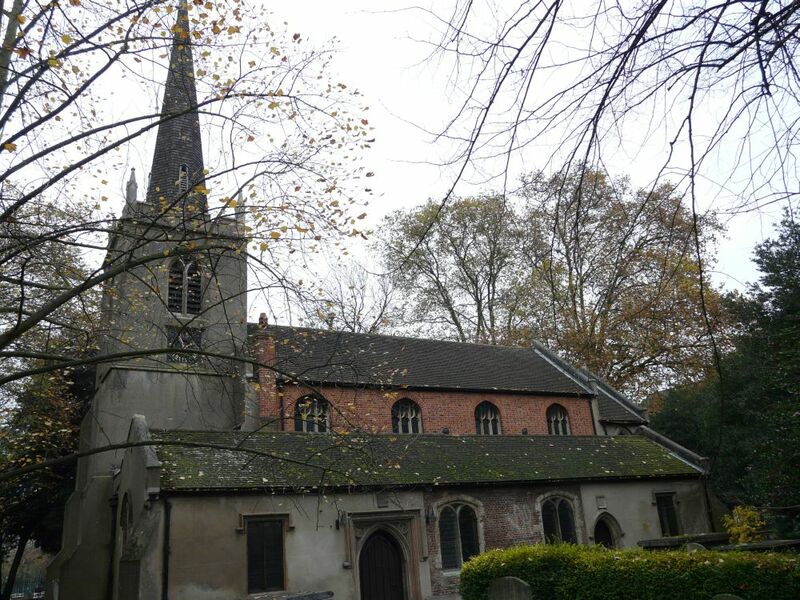 Over the road from its Victorian replacement, the old church of 1563 remains in use. It was restored in 1827-29 by Charles Barry, the spire dating from this time. By zoothorn in Barry, Charles, London Borough of Hackney, Stoke Newington on December 1, 2013 .